'Twas not the night before, but Christmas Day itself. Late in the day, actually. It had been dark a few hours already. I remember it being bone-chillingly cold. I was sixteen or seventeen. The family dinner had taken place earlier in the afternoon. At around seven o'clock or so I walked over to my girlfriend's house. 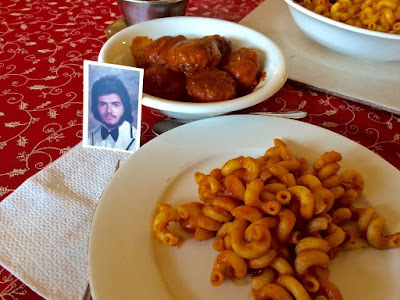 Her family was a lot like mine, Italian-American tight you know, and so I figured that an appearance on such a holiday would be appreciated, if not expected. 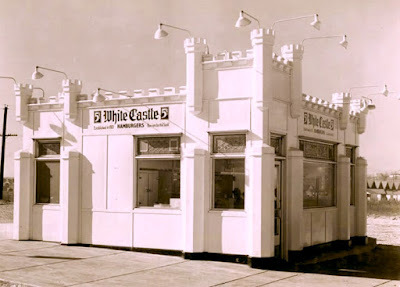 To get to her place I had to walk past the White Castle on the corner of Atlantic and Shepherd Avenues. This was in the East New York section of Brooklyn, I should mention, the place where I was raised. Going past the restaurant on Christmas Day was always both fun and spooky, because this was the only 24-hour period in the entire year that the place was closed. 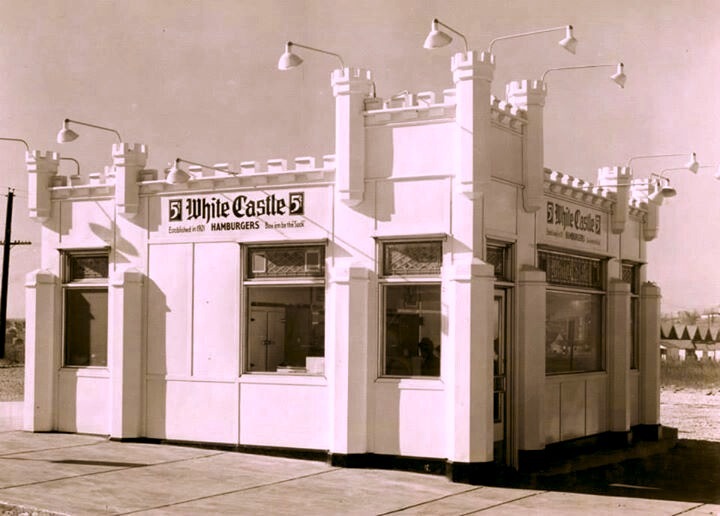 Often my friends and I would go by the White Castle just to witness it on Christmas Day, to see the lights out and the grills cold, to hear the quiet. Sitting on the sidewalk, leaning against the glass door to the restaurant, was an elderly couple. Elderly to a teenager, I should say. They might have been in their fifties, as I am now. They were bundled up but not enough to my eye; their bodies were next to each other but not close enough to keep each other warm, I thought. "Cold tonight," the woman said as I walked past. "Sure is," the man repeated. I nodded and kept walking. Moving was the only way I could keep warm. After visiting a while I decided it was time to get back to my own family. Mom and Aunt Anna would be putting out an evening buffet and I wouldn't want to miss it. As I said goodnight to my girlfriend's grandmother she grabbed me tightly by the wrist and drew me toward her. 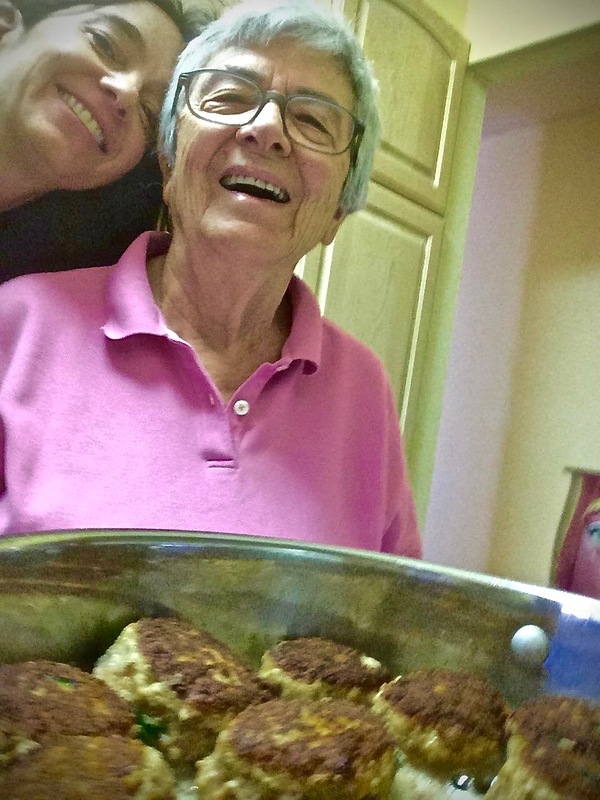 "You be good to my granddaughter," she said in the thickest Italian accent. "Understand?" Before I could answer the old lady kissed me and said I was a nice boy and that she liked me. Then she handed me a tray of my favorite Christmas cookies: cucidati, or fig cookies. I ate one right on the spot, or maybe it was two. They were extraordinary, better than my mom's, in fact. I hugged the old lady very tightly and kissed her. "You keep making me fig cookies like this," I told her, "and I'll be good to anybody you want." Approaching the White Castle I could see that the couple I'd seen earlier was still on the cold ground and against the door. It was around nine o'clock by now. Three hours before the place would reopen. They were waiting for exactly that, I realized. It hadn't even occurred to me earlier. Just as before the woman and then the man remarked upon the weather. Again I nodded and kept on my way. It seemed colder now. After walking another half block or so I turned around and headed back to the White Castle. This time as I approached the couple I made sure to speak first. "These are my favorite cookies, and I want you to have them," I said handing them to the lady. "Thank you, son," the man said quickly and without looking up, most of his face buried inside the warmth of his coat. "We'll have them with some nice hot coffee in a little while," the woman said. "Won't we dear?" I nodded and started on my way again. "Merry Christmas," I heard the woman say. "And good night." It was 100 years ago, on December 12, 1915, that a baby boy was born to Natalie and Antonino Sinatra, in a cold-water flat on Monroe Street, in Hoboken, New Jersey, just across the Hudson River from Manhattan. It was a difficult birth, one that came close to ending not very well. The baby, a big one at thirteen and a half pounds, looked as if it might not make it. Little Francis Albert did not begin to move at all until his grandmother Rose interceded, carrying the baby to a sink and running water over its seemingly lifeless body until it breathed. Frank, as he later became known, did not overstay his welcome. He lived to be 82, respectable enough, I suppose, just not long enough, not for me. 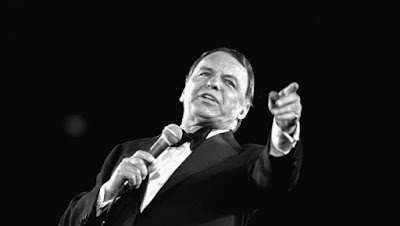 For somebody who couldn’t manage his way through high school this Sinatra fellow did better than just all right for himself. Let's face it, he ran the table pretty much anywhere he played. No musician in the history of civilization has ever attained this remarkable man's accomplishment or stature. His birth, I would argue, was nothing short of a miracle. That’s right, I said miracle. Just under 3 million babies were born on United States soil the year “Dolly” Sinatra gave birth to her son a century ago. And so Frank wasn’t simply one in a million; he was one in three of them! Take them odds with you to Vegas, baby. This picture was texted to me this afternoon. Cousin Jennifer sent it. "It's like you're here with us," she wrote. "Here" would be Aunt Anna's apartment in Queens. She shares it with Aunt Rita. It's where many family gatherings have taken place through the years and judging from Jennifer's text yet another was in progress. 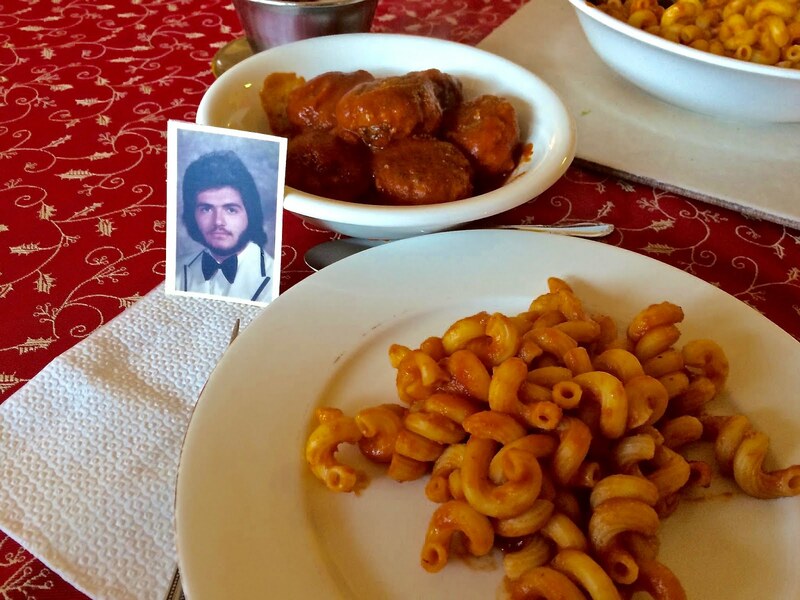 The picture inside the picture, the one leaning against a bowl of meatballs, is of me. It's my high-school graduation photo. I had to remember this because, well, that's how long it's been since I have seen it. "You're kidding me," I peck typed. "Where in Hell did THAT come from?" Nanoseconds later, Jen's response: "Going through old family photos. You should be here." I'll admit that it is times like these that are most difficult for me. My family, most of them anyway, are roughly 325 away from where I am now. They live within minutes of each other, 20 tops, in New York's outer boroughs. It's often that they spend time together, for a coffee in the afternoon or to play cards or to take a trip to the butcher or to a doctor's appointment. The best gatherings take place on Sunday afternoons, of course, for the main meal of the week, and these can take place in any number of locations. This is the event Jennifer was taking part in at Anna and Rita's when she texted today. It's what I was missing out on, in other words. Loss comes in many forms, even joyous ones. I was not about to allow melancholy to disturb Jennifer's day, however. "Oh yeah," I typed, brushing off my own sadness. "What's she using, bread or breadcumbs?" It is the question that must be asked. "Breadcrumbs," Jen responded. "They are really good too." "Not possible," I shot back. "Not with breadcrumbs. Meatballs have to be made with wet bread. My aunt oughta know better. And you can tell her I said so too." It was a few minutes and no response, then finally: "We'll have to have a contest next time you're here. Be fun." "Nope, no contests. I'm not going to show up my aunt in front of everybody. I love her too much. Have her show you how to make tripe instead. That I know she makes the right way at least." "No!! No tripe for me," my cousin shot back. "She says she loves you too." Jen was right. I should have been there.